We are pleased to announce that we have extended our support hours to accommodate our customers’ needs. 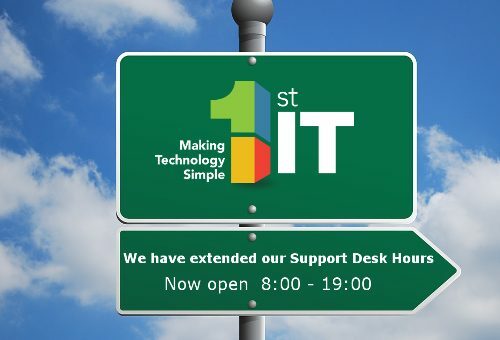 We are now providing support from 08:00 to 19:00. You can contact us the same way which are by logging a call from our website, chatting with us, calling us or emailing us. We hope that you will take advantage of our longer hours. We look forward to serving you.